Install Shams power systems solar rooftop sol | SHAMS POWER SYSTEMS PVT.LTD. Install Shams power systems solar rooftop solar system and say goodbye to high electricity bills and enjoy clean and green power. Our rooftop solar systems enables housing societies to substantially reduce their monthly electricity bill and thereby lower their maintenance charges and contribute towards reducing their carbon footprints ad be environmental friendly. Shams power systems pvt. ltd. provides rooftop solar systems for residential, industrial and commercial consumers. We as solar panel installation company employ best quality solar panels and solar inverters to provide reliable and long lasting solar power solutions. 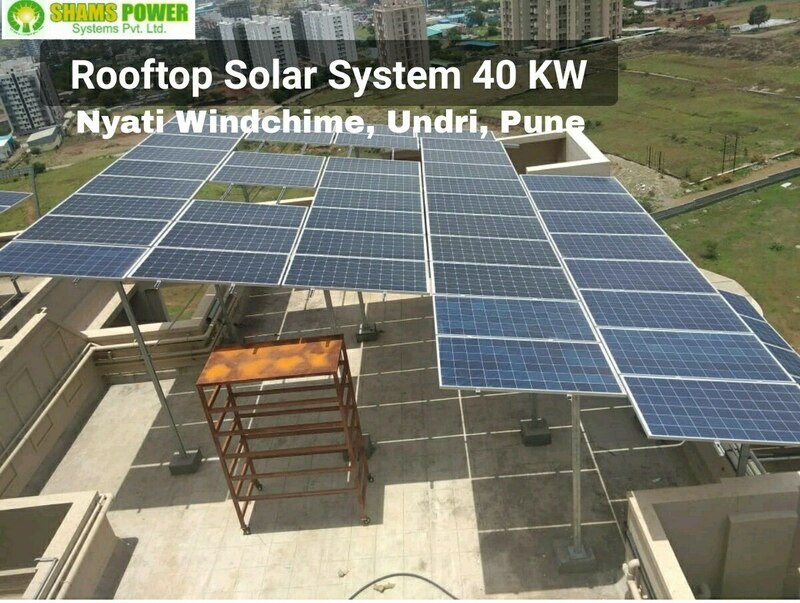 We have installed solar power solutions for housing societies, industries, commercial enterprises all over Maharashtra.